The James Madison Charitable Trust is the creation of a very remarkable man. 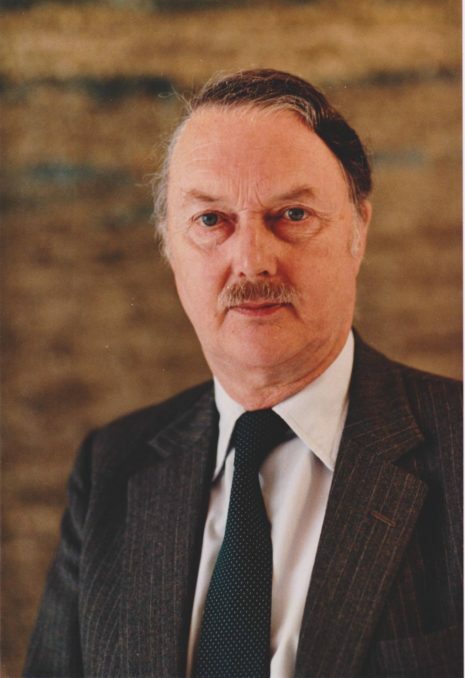 John Pinder was a distinguished academic and author. He was influenced by the consequences of the tyrannies of the pre-war totalitarian regimes in Europe and the resulting horrors of the Second World War. Like many of his generation he was determined that Europe should be freed from the continuing dictatorships of both right and left and that conflicts between European countries should be seen as unthinkable. He published widely and contributed to research and teaching, securing a worldwide reputation for his output. As part of his vision of Europe and Britain’s place in it, he saw the merits of federal systems of government with Germany and Switzerland being notable examples in Europe. Britain either directly or indirectly influenced other federal systems across the globe in, for example, India, Malaysia and Australia. The evolution of most of Britain’s North American possessions into what became the United States of America has created what many would regard as the most influential federal system in the world. A major influence on the creation of the early USA was James Madison, hence John’s attachment of his name to the Trust. John was keen to encourage research and teaching into systems of federal government and hoped that through this publications would result. This has happened and the work the Trust has supported since 2000 is identified on the site although we are in the process of filling in more detail. Sadly John died in 2015 but his vision is continuing as he generously left a substantial bequest in his will to enable the Trust’s work to continue and develop. Since 2015 the Trust has restructured, seen the board of trustees reinforced and plans developed for a programme of support for the foreseeable future. John’s legacy will therefore continue to encourage teaching, research and publication on federal systems of government in universities and other institutions.